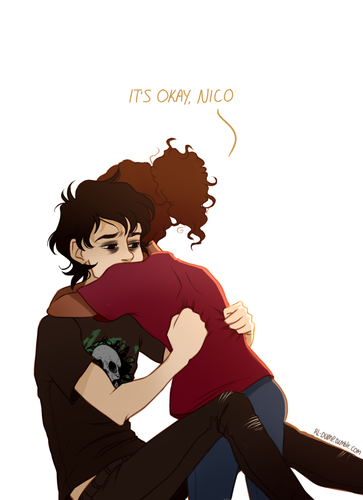 Nico and Hazel. . HD Wallpaper and background images in the Helden des Olymp club tagged: photo. This Helden des Olymp photo might contain hip boot, thigh boot, anime, comic, manga, cartoon, comic buch, karikatur, and comics. Hazel, keep him there and let me catch a cab over! 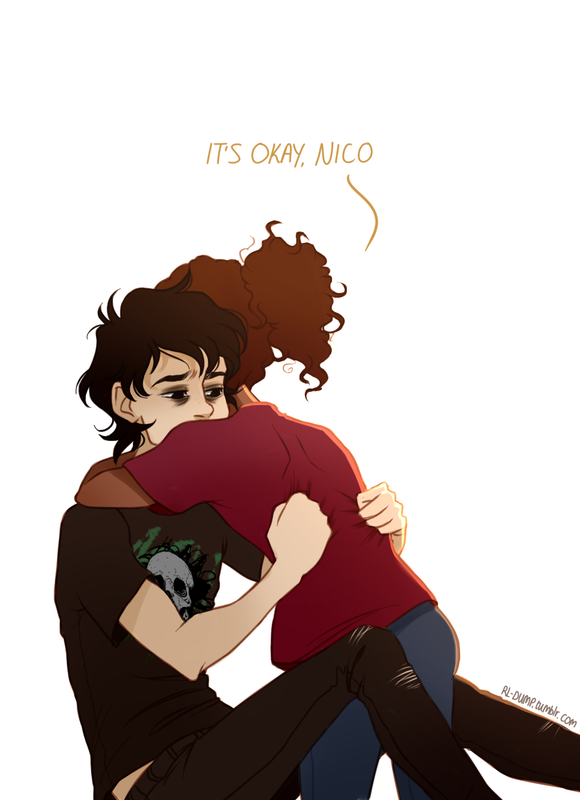 It's ok Nico, I'm here.